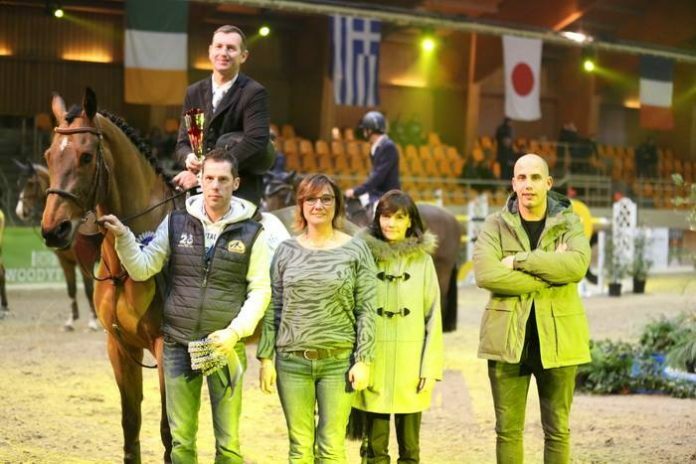 Home Best Jumping Media Press Release Koen Vereecke commanded the Belgian one-two in the CSI2* Moorsele. Home rider Koen Vereecke commanded the Belgian one-two in CSI2* Moorsele, to mark the beginning of FEI events by winning in the tiebreaker round. Being a very tight advantage for Koen Vereecke of only 19 hundredths of a second, he appeared with the 9-year-old gelding Diadarco van Evendael Z (Diamant de Semilly x Darco) to secure 50 World Ranking Points with his victory and finally recording a time of 33.33 seconds. Finishing one-two Belgian riders, Koen Vereecke was escorted in second place by Vincent Lambrecht next to the 9-year-old mare Just Energie in 33.52 seconds, cutting the home chain riders in third place Lance Whitehouse of Great Britain with the 16-year-old stallion Vik II (Cantos) in 34.97 seconds. For fourth place another Belgian rider made himself felt at home with the performance of Maxime Harmegnies accompanied by the 9-year-old mare Bandia (Clinsmann x Quintero) completing his tiebreaker in 35.46 seconds. The course designed by Marc Debaere of Ukraine had a total of 44 pairs participating, where 16 returned to the jump-off and 8 riders completed a doble clear round. Previous articleJulien Epaillard was the best at Two Phases of the MET Oliva 2018. Next articleAbdullah Al Sharbatly leads the Winning Round of the Azizi Golden Cup.